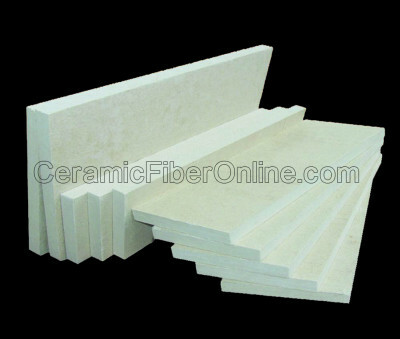 TaoFibre Block-19 is a high temperature insulation board, which is made from mineral fiber and organic binder. This board is characteristic of excellent insulation efficiency and good strength for various high temperature applications, such as precipitators, dryers, ducts and breeching, utility boilers, furnaces, kilns, etc. 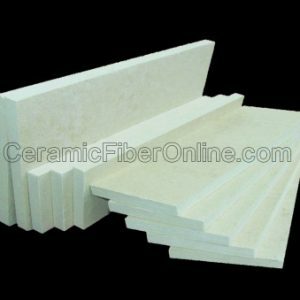 The material is ideal for refractory backup insulation behind insulating firebrick and other refractory linings. There could be smoke generated when the binder in the fiber board is burnt above approximately 500°F but the smoke will disperse soon and once for all. To limit or avoid such smoke generation in initial start-up performance, heat rise should be controlled at about 20°F per minute to allow the binder to dissipate with moderate temperature increase. The ignition loss of binder in the first start-up operation will not adversely affect the insulation value. TaoFibre Block-19 can be used at different service temperatures up to a maximum of 1900°F on the hot surface of the enclosed panel. This board is not to be subjected to direct touch with flame as a hot face refractory material. TaoFibre Block-19 mineral wool board can be used to insulate plant equipment such as boilers, furnaces, ovens, ducts, precipitators, tanks and other high temperature insulation applications operating at continuous service temperatures up to 1900°F. Ordered with truck freight and got all 16 boards in perfect condition ahead of est. delivery date. Well worth the cost, plus the boards are a quality product.